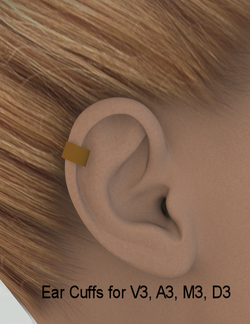 EarCuffs for V3/A3/M3/D3/Alexa2 is a set of smartprop jewelry, created by jan. Versions are provided for Aiko 3, Alexa 2, David 3, Michael 3, and Victoria 3. This page was last edited on 31 August 2017, at 22:01.